C.W. 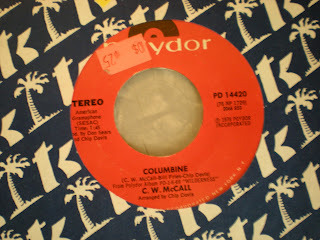 McCall knows a hot topic when he sees one - he’s the man we can thank for bringing us “Convoy” and lesser-known gems like "'Round the World with the Rubber Duck" and “Kidnap America,” released during the Iran hostage crisis. 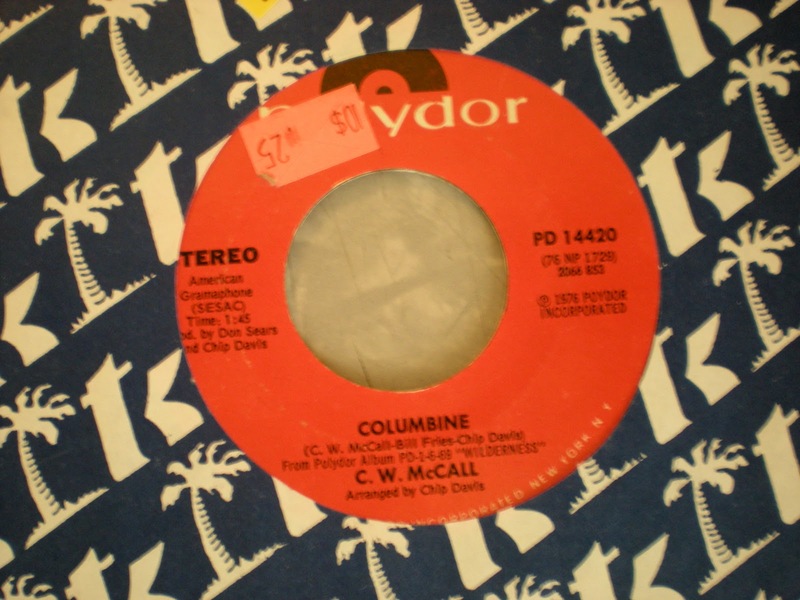 But this track was, for once, not an opportunistic grab at whatever was happening in the newspaper that week, considering it came out 23 years before the Columbine incident. But it seems strangely fitting that even his less calculating numbers collide with topical themes eventually. This entry was posted on Thursday, April 22, 2010 at 8:27 AM. You can skip to the end and leave a response. Those are stomach churningly bad. Just the thing to get people to leave your house, just in case they didn't respond to Neil Young's Arc. I work for The Oxford American magazine and we're currently researching our Southern Music Issue. This year, we're focusing on music from the state of Mississippi. We're fans of your blog, and were hoping you might be interested in recommending some pop/garage/novelty/bubblegum artists you think we should check out. Thanks so much for your input on this, and keep up the good work! hey nice blog.. you have written so nicely.. keep blogging.. This post is really amazing. Thanks for sharing.